Track iPhone: Tracking an iPhone is very easy with its built-in GPS and a plethora of tracking apps. You can use Find My iPhone to track your own iPhone if it’s been lost or stolen. If you want to share your location with friends and family, the Find My Friends app will let you track anyone that you share your information with. In today’s article, we are going to share some working methods to track or trace your or someone else iPhone. Follow the article for more information. Here are the simple methods to track or trace your or someone else iPhone. It’s a gut-churning moment when you reach for your iPhone or iPad and discover that it’s gone. Did you leave it at work, on the bus, or has someone deftly removed it from your pocket? Don’t Worry. Thankfully, Apple has a service called “Find My iPhone” that helps to track your iPhone’s location. But what if you didn’t notice in time, and now the battery is dead? That’s what Send Last Location is for. 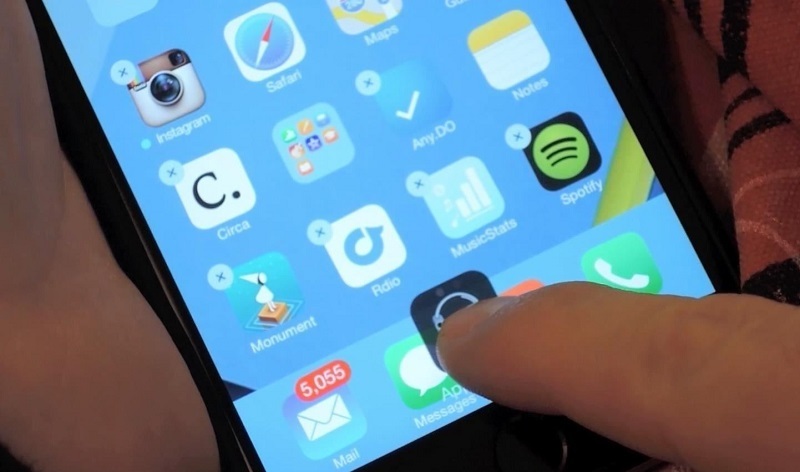 Here’s how to track an iPhone and find a lost iPhone even if the battery has died. Find My iPhone is free, easy to set up, and quite possibly the most valuable app on your iPhone. It also works on your iPad and Mac, so you can keep track of all your Apple devices. With Find My iPhone turned on, your iPhone connects to the internet and broadcasts its location. You can use another iOS device or iCloud.com to find it.And if you hadn’t noticed that your phone was missing and you suspect that the battery has now died or someone may have turned it off, there may still be a way to find it thanks to a feature called Send Last Location. 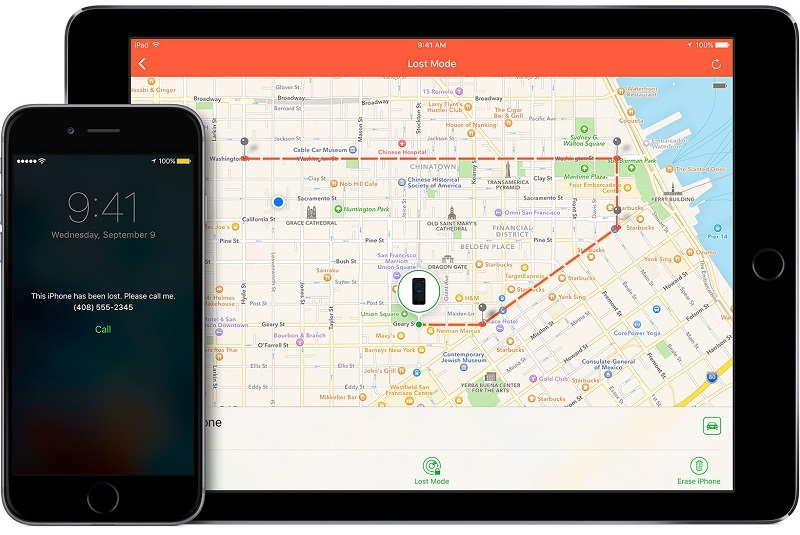 ‘Find My iPhone’ helps you locate and protect your Apple device if it’s ever lost or stolen. Just sign-in to iCloud.com or the Find My iPhone app to see your missing device on a map, play a sound to help you find it, use Lost Mode to lock and track it, or remotely erase all of your personal information. Slide to turn on Find My iPhone and Send the Last Location. 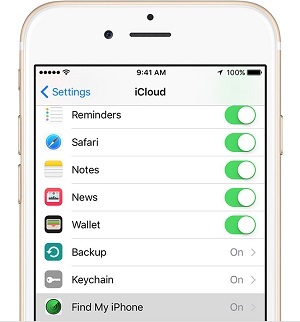 If you do not want to enable iCloud to use Find My Phone, you can still track your device with an app that provides similar functionality, such as Mobile Spy, iHound or Device Locator. Mobile Spy turns your device into a silent monitoring system. IHound and Device Locator track and map your device’s location in real time. Though iCloud is not required for the suggested apps, you must create an account with the respective software company to track your device online, and location services must be enabled on your device. If you lose your iPhone, iPad, or iPod touch or think it might be stolen, these steps might help you find it and protect your data. You can use Find My iPhone to find your device and take additional actions that can help you recover it and keep your data safe. 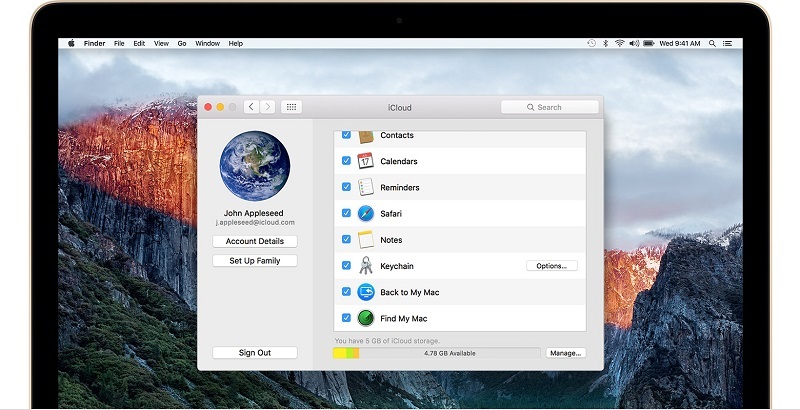 Sign-in to icloud.com/find on a Mac or PC, or use the Find My iPhone app on another iPhone, iPad, or iPod touch. Find your device. Open Find My iPhone, and select a device to view its location on a map. If the device is nearby, you can have it play a sound to help you or someone nearby finds it. Turn on Lost Mode. Using Lost Mode, you can remotely lock your device with a four-digit passcode, display a custom message with your phone number on your missing device’s Lock screen, and keep track of your device’s location. If you added credit or debit cards to Apple Pay, the ability to make payments using Apple Pay on the device will be suspended when you put your device in Lost Mode. Erase your device. To prevent anyone else from accessing the data on your missing device, you can erase it remotely. When you erase your device, all of your information (including credit or debit cards for Apple Pay) will be deleted from the device, and you won’t be able to find it using Find My iPhone. After you erase a device, you can’t track it. If you remove the device from your account after you erase it, Activation Lock will be turned off. This allows another person to activate and use your device. What if your iOS device is off or offline? If your missing device is off or offline, you can still put it in Lost Mode, lock it, or remotely erase it. The next time your device is online, these actions will take effect. If you remove the device from your account while it’s offline, any pending actions for the device will be canceled. If you didn’t turn on Find My iPhone before your device was lost or stolen, you can’t use it to locate your device. However, you can use these steps to help protect your data. Change your Apple ID password. By changing your Apple ID password you can prevent anyone from accessing your iCloud data or using other services (such as iMessage or iTunes) from your missing device. Change the passwords for other internet accounts on your device. This could include email accounts, Facebook, or Twitter. Find My iPhone is the only way that you can track or locate a lost or missing device. If Find My iPhone isn’t enabled on your device before it goes missing, there is no other Apple service that can find, track, or otherwise, flag your device for you. Apple designed Find My Friends in 2012 as a means for better connecting with friends and family. It’s pretty useful for scenarios when you need to keep tabs at an amusement park or to get a live ETA when your buddy is coming to pick you up from the airport. You can even share your location with others so they can track your whereabouts as you go about your day. Then it struck me; can’t this be used to effectively spy on someone? 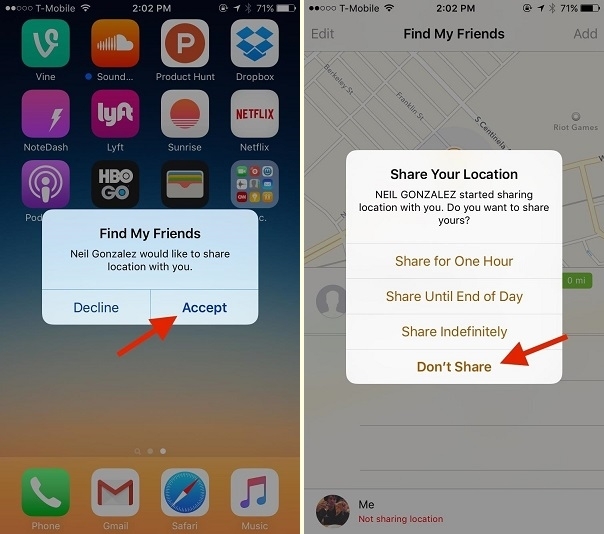 Sure, you need consent from both parties before sharing a location, but what if I were to enable Find My Friends on someone else’s iPhone, then share their location to my iPhone without them knowing? I decided to try it out, and not only was it incredibly easy, it was also fairly incognito—once turned on, the person you’re tracking never receives a notification or alert of any kind. Even if the other person decides to open Find My Friends—which most people buried in a folder anyways—it’s not very apparent that they’re being tracked. It simply shows that you’re a follower (and not a stalker). Once set up, you can monitor every movement of the person you’re spying on. Not only that, but you can even set reminders for when they leave or arrive a certain location if you want to be especially intrusive. So whether you want to keep tabs on your kids or know exactly where you are significant other go after work, I’m going to show you how to track someone’s location without them knowing. 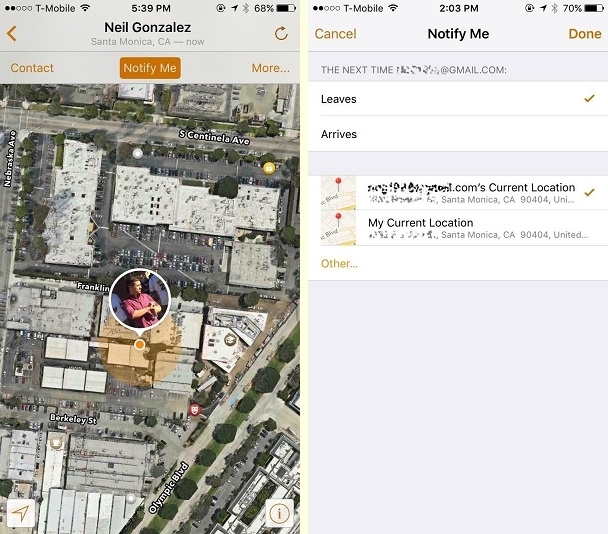 If the person you want to track is running iOS 8, you’ll need to download the Find My Friends app from the iOS App Store on their phone, as well as yours. On iOS 9, which is already available, Find My Friends is a stock app that will already be on the device. 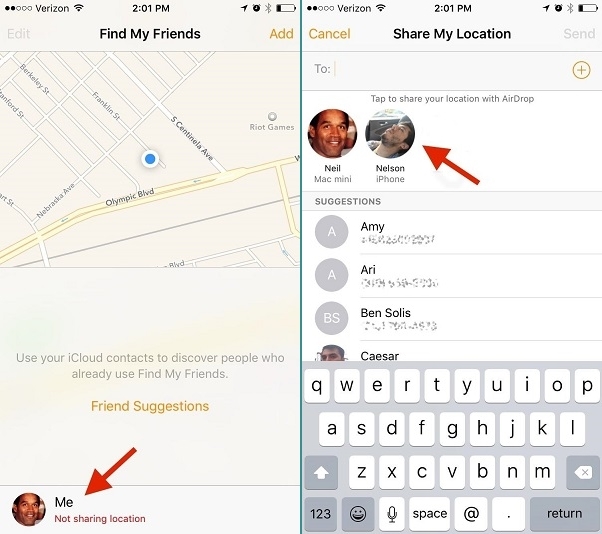 Begin by opening the Find My Friends app on their iPhone, then tap on their contact picture at the bottom to enable “Share My Location” from the settings. Also, make sure that the location is being shared from “This Device” (under the “Share My Location From:” setting), as there may be other devices (like an iPad) that are attached to the same iCloud account. On your iPhone, swipe up from the bottom of the screen to enable AirDrop from the Control Center. Make yourself discoverable to “Everyone”, although the “Contacts Only” option will suffice as long as their iPhone has your contact information saved to it. Back on their iPhone, tap on “Add” (in Find My Friends) and hit your contact icon when it appears. 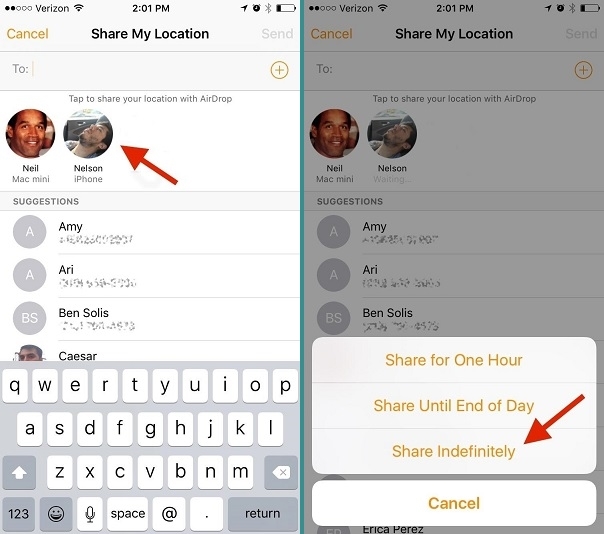 Select “Share Indefinitely” to share their location to your iPhone for an unlimited amount of time. Once their location is shared to your device, hit “Accept.” After a few seconds, a popup will appear asking if you want to share your location with them. Tap on “Don’t Share” so that they can’t track your location. In the Find My Friends app, simply click on their contact icon to see their exact location in real-time. You’ll also see options to be notified if they leave or arrive at a certain location, so you can alert yourself when someone leaves their house or work (yeah, creepy). Of course, all of this is probably dependent on you not getting caught. 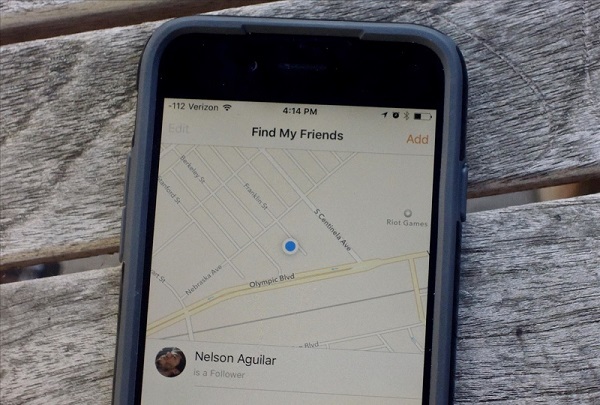 Luckily, most people won’t venture into their Find My Friends app, and even if they do, they’d have to actively look at who they’re sharing their location with. But, there are a couple of ways to hide the app so that they don’t even realize they have it. Either of the methods above will remove the Find My Friends app temporarily, but be restarting the device will bring the app back on the home screen. While I don’t condone tracking someone’s location without their consent, I believe that it’s important to be aware of how built-in features can be manipulated to take advantage of others. WARNING: Using this method to turn an iPhone into a real-time GPS location tracking device should only be done to an iPhone that you own. Tracking someone’s iPhone that you do not own, without the owner’s permission or placing any tracking device on someone without their permission or knowledge is not only immoral, but it may also be illegal in some states. Thank you for your appreciation and support. Thank you, Sujeev Pinnoj for giving great afford for alltop9 to produce more useful content. greatly helpful for iPhone lovers finding phones when they lost or forgot. Thank you! for your appreciation and support.Hope this article is helpful for you. Keep on visiting our blog for more good stuff. Thank you for your positive feedback again. That’s a great article to track the phone if lost . Nice and helpful article for the people who uses iPhone .Will share this article with my friends. Keep posting such informative article .